Texas is one of many states that continues to experience an influx of new residents. As changes to the state demographics occur, clinicians are faced with the reality of providing services to a growing number of languages. Based on information from a recent survey, Spanish, Vietnamese, and Chinese are among the top three languages other than English spoken in Texas. In addition, more than one third of children under 5 years of age speak a language other than English (United States Census Bureau, 2013). Although there is an increased need for services and materials targeting other languages, printed resources for speech and language therapy and evaluation tools in languages other than English are very scarce in the United States (US). 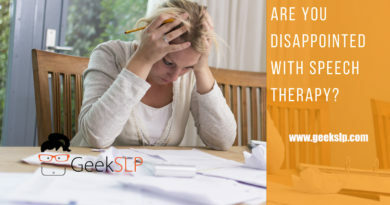 The reality that only 6% of practicing speech-language pathologists (SLPs) in the US are bilingual (ASHA, 2016) may be a factor and a deterrent to companies that invest a significant amount of money to create, publish, and print small quantities of physical materials in other languages. While the field of speech-language pathology also exists around the globe, clinicians in the US may not search for materials created outside of the country; or may not realize that they exist. 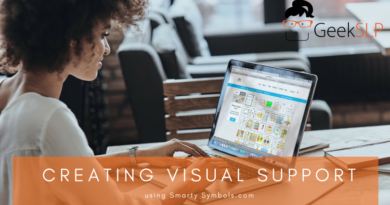 One reason for such a localized set of tools is that purchasing physical tools outside of the country involves a great deal of research as well as the added cost of receiving materials from overseas. Fortunately, over the last decade, a more technologically-based and connected world has made it easier for individual clinicians who create their own materials to share them with others. Apps and self-publishing websites, such as Teachers Pay Teachers, are resources that are readily accessible and may serve as a tool for clinicians working with students from a culturally and linguistically diverse background. Apps in particular may solve many of the challenges that might be experienced with printed materials. For example, Apps are flexible in that many of them can adjust to each particular students’ language by offering alternate language options. In addition, there are typically no additional fees for purchasing apps from other countries; they are easily viewed and downloadable from a personal device. Moreover, Apps generally have customization features that allow room for changing the stimulus based on the clinician’s selection. A variety of apps are currently available on the app store that can be modified for individuals who are culturally and linguistically diverse or that cater to those populations specifically. Some Apps created originally in American English have options for switching languages. Other apps have been created overseas by speech therapists that are in a native language other than English but are available to be purchased and downloaded anywhere in the world. As a developer, I try whenever possible to add other languages as an option within an app; however, this is not always a feat that is attainable. There can be significant differences between the structures of some languages that a completely different app is necessary for that particular language. Therefore, creating language options within an app is not always possible, especially in the areas of syntax, articulation, and language. In these cases, developers (such as myself) often choose to create a separate application altogether. One other challenge when creating apps that will be sold worldwide is the differentiation and acknowledgement of regional dialects. Regional dialects can have significantly different vocabulary for word choices within an app. While paper products might need to address differences in vocabulary choices for targeted words, apps must also manage dialects of a language that are vastly different, as it is the case between English spoken in Ireland versus English spoken in the US. Apps for screening and assessment in languages other than English are very limited. However a few options are already available. Some can be used as qualitative measures only, others have been standardized in the US. Bilingual Articulation and Phonology Assessment (BAPA): This standardized app allows for assessment of articulation and phonology skills in both English and Spanish. The data is then compared to groups of monolingual and bilingual speakers. The beauty of this assessment tool is that it can be used not only to assess Spanish, but also English; this includes monolingual English speakers. Avaz: This alternative communication app is available in over ten languages including Spanish with “Avaz Espanol”. Nova Chat by Satillo: The app allows users to easily switch to Spanish pages, which can be purchased separately from the original English app. You can read more about other AAC apps in languages other than English in an article written by Fanourgiakis, called High Tech AAC for Spanish Speakers (2016) on the Asha blog. Just as you expect from paper-based materials, this is by far the area that has the most options when it comes to apps in languages other than English. 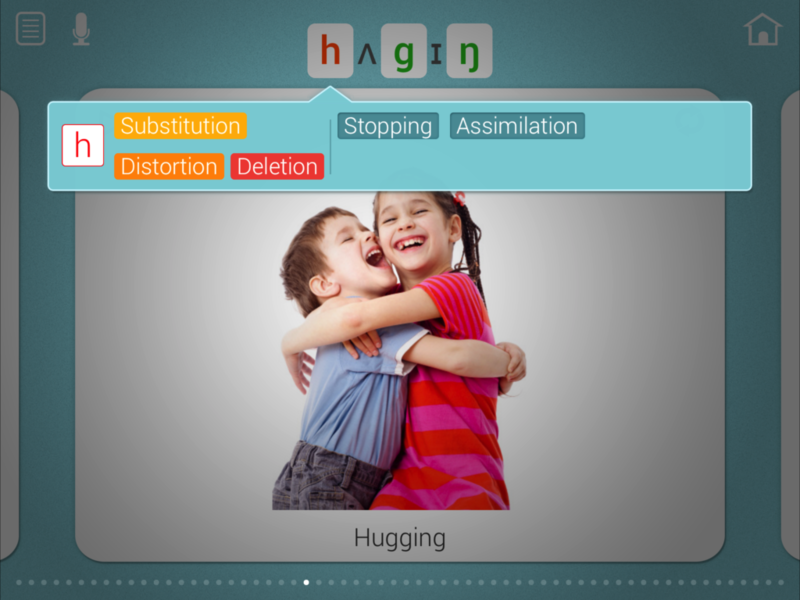 Clinicians can easily adapt game apps to target articulation and language goals. The list below is just a sample of the apps available in Spanish for pediatric articulation and language. 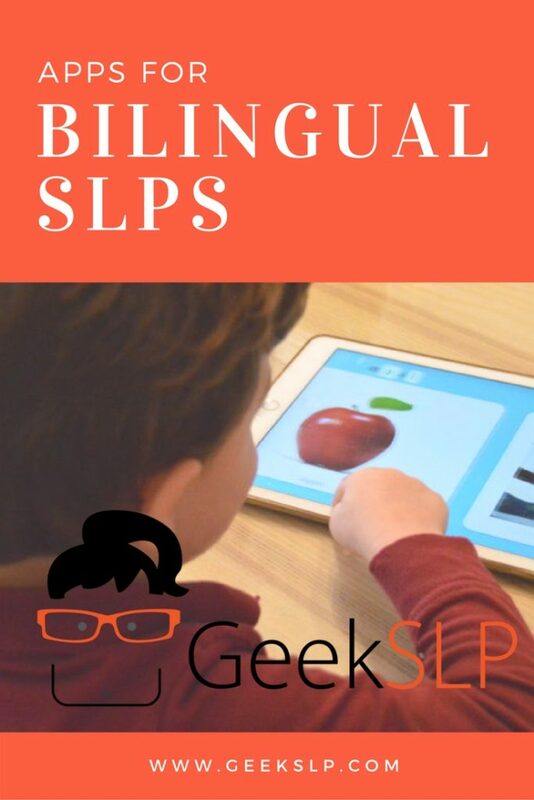 A simple Google search for “Apps for Bilingual SLPs” will most likely give you a few options in this area. However, the results from such a search produce a much shorter list of options than its English counterpart. FonoLógico Spanish Articulation This app includes three activities and targets all Spanish phonemes at the word, phrase and sentence level. Casa Artic Spanish Articulation This apps offers Spanish sounds that can be purchased separately. Words are presented also at the phrase and sentence levels. Hablando con Nok Spanish Phonological Awareness The app offers four games of auditory discrimination. Fun & Functional English, Spanish & Portuguese Language This app targets comprehension and use of everyday vocabulary. Go Sequencing English, Spanish & Portuguese Language (Sequencing) Users can practice sequencing skills for over 39 different situations. WhQuestions English, Spanish, Portuguese, French and Dutch. Language Expressive and receptive whquestions activities. Yes No Barn English, Spanish & Portuguese Language Practice answering a variety of yes/no questions. Speech with Milo Prepositions Spanish Language Milo demonstrates a variety of prepositions. Peekabook Barn 12 different languages Vocabulary Simple app that has cute animations of animals. 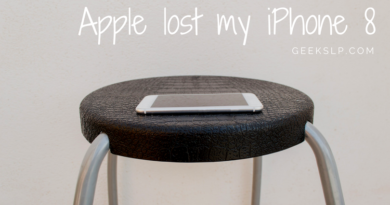 iName it: This application targets naming skills of household items using context as its ally to elicit naming. Language options include Spanish and Portuguese. 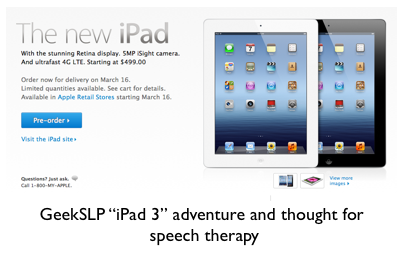 Language Therapy 4-1: This application offers four sets of apps in one. It targets language and reading comprehension as well as naming and writing skills. It is available in English, French, German and Spanish. Language Trainer: This app includes four activities: picture identification, picture naming, divergent naming, and sentence complete. It is available in English, Dutch, Spanish, and Portuguese. 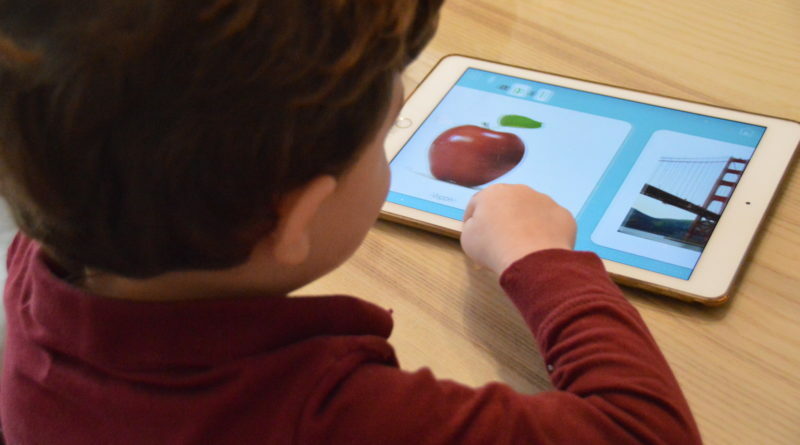 Reading Rehabilitation Toolkit: This apps targets reading rehabilitation skills such as word and phrase matching as well as reading comprehension. It is available in Spanish, Portuguese, English, and Dutch.